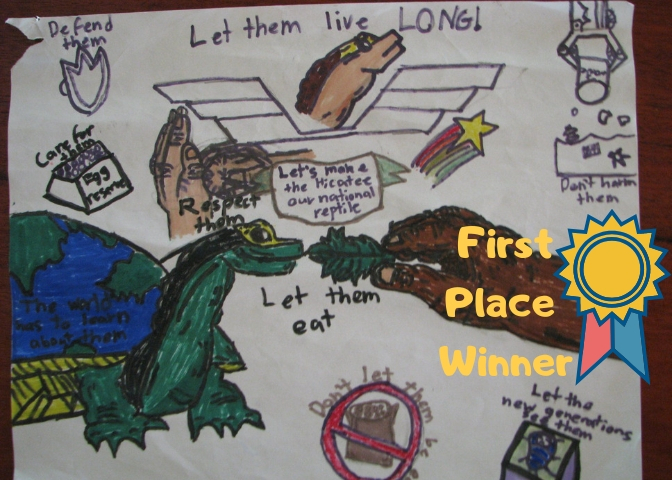 BFREE and the Turtle Survival Alliance (TSA) are pleased to announce the winners of a national poster contest for primary school students. 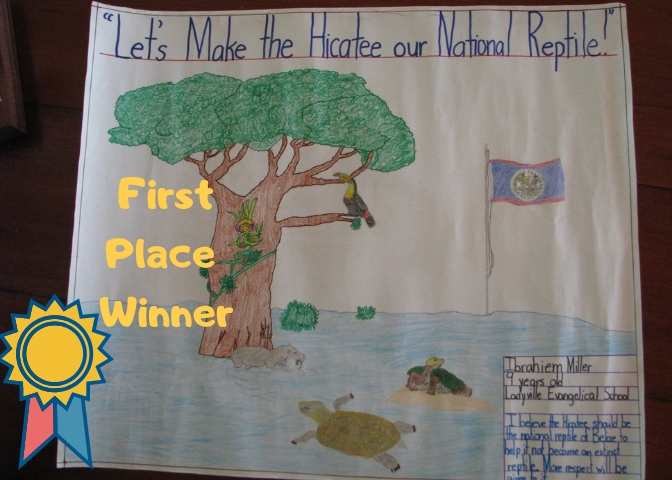 The poster contest’s theme was “Let’s make the hicatee our national reptile” and was a highlight of the second annual Hicatee Awareness Month in October 2018. 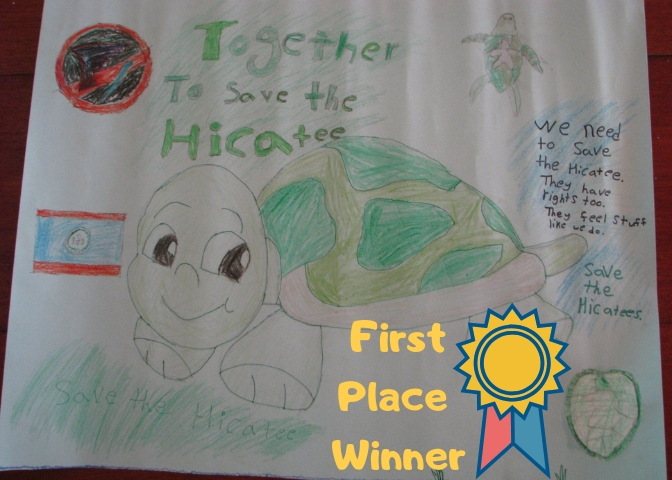 The goal of this creative activity was to engage students in wildlife conservation and help raise awareness of the critically endangered Hicatee turtle. The three winning drawings will be used to create 2019 Hicatee Awareness Month materials. These materials will be distributed to schools, organizations, and businesses in Belize. 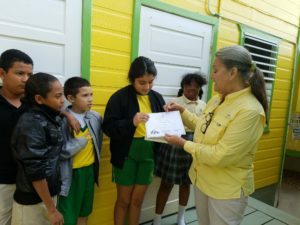 Overall winner, Seydi is awarded a certificate from BFREE by Ambergris Caye Elementary School Principal, Denice Ryan. Ms. Alamina, of Hummingbird Elementary School, supported her students in creating a Hicatee Committee. The students of the Hicatee Committee hosted a Hicatee Booth at their Art Show/Book Fair where they shared information with visitors, created games to play, and handed out brochures they created. They even raised money for the Hicatee Conservation & Research Center. Students from the Hummingbird Elementary Hicatee Committee pose for a photo at their Art Show/Book Fair where they had a table with information about the hicatee available. 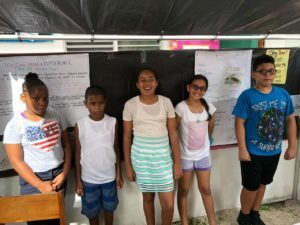 BFREE would like to extend gratitude to all the schools and participants and a special thanks to Ms. Denice Ryan, Principal of Ambergris Caye Elementary School for her guidance and support on this project. Hicatee Awareness Month will be celebrated again this October, with another poster contest and even more activities.